If you're a long-standing site regular you'll be aware of our fondness for the films of a certain David Lynch, whose unique surreal view of his home country has resulted in some of the most artistically exciting films in modern American cinema. 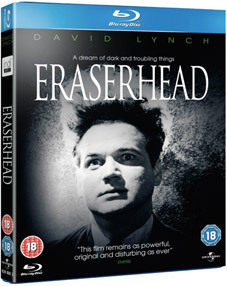 His films have been slow to arrive on Blu-ray, particularly in the UK, but that's all about to change with a glorious-looking box set containing six of his most important films – Eraserhead, Dune, Blue Velvet, Wild at Heart, Twin Peaks: Fire Walk With Me and Lost Highway – all appearing on Blu-ray for the first time in the UK. The set will also include several of the director's most famous short films, experimental films, rare interviews, documentaries, outtakes and more. All six films will also be available as stand-alone discs. 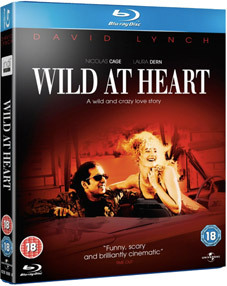 Lynch's debut feature was five years in the making, a visually and aurally astonishing and darkly dream-like story of a young man, his girlfriend and their nightmarishly inhuman baby that became one of the key cult movies of the late twentieth century. Where your nightmares end, Eraserhead begins. 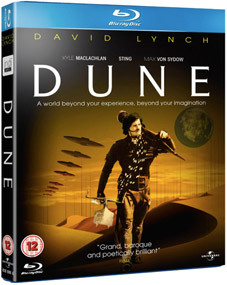 Lynch's only truly mainstream feature is a visually eye-popping adaptation of Frank Herbert's epic 1965 science-fiction novel, one that divided genre fans but enthralled the hell out of us and has a glorious cast that includes Kyle MacLachlan, Virginia Madsen, Jürgen Prochnow, Siân Phillips, Francesca Annis, Brad Dourif, José Ferrer, Linda Hunt, Freddie Jones and Eraserhead himself, Jack Nance. Regarded by many as Lynch's masterpiece, the story of a college kid whose love of mysteries introduces him to the dark underbelly of his all-American home town features Kyle MacLachlan, Laura Dern, and Dennis Hopper as possibly the most terrifying bad guy in modern cinema. Nicholas Cage and Laura Dern star as Sailor and Lula a couple whose love for each other is tested to the limit when Lula's mother (Daine Ladd) takes out a contract on Sailor and the paid fall in with the psychotic Bobby Peru (a genuinely frightening Willem Dafoe). 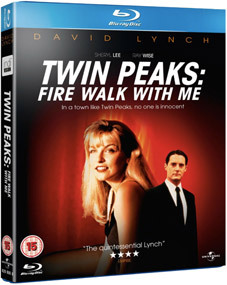 Lynch's dark and deeply disturbing prequel to his cult hit TV series explores the events that lead up to the death of Laura Palmer and gets inside the mind of the story's doomed heroine. There are, it would seem, no extra features on this one. Bit of a shame, really. Lynch's bold and terrifying film tells the story of a troubled couple who start receiving intrusive video tapes, which leads to murder, a death sentence and an audacious reality switch to a completely new and unrelated story and characters. or are they? Robert Blake makes a brilliantly sinsiter demonic figure, and no-one pistol-whips like a maddened Robert Loggia. 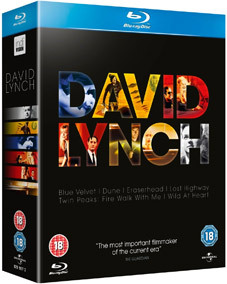 The David Lynch Box Set will be released on UK Blu-ray on 4th June 2012 by Universal Pictures UK at the RRP of £64.99. The films will also be released individuall at the RRP of £17.99 each.